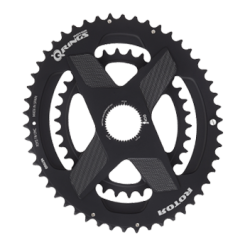 The drive to improve your cycling performance compels us to continually innovate through leadership in the growing oval chainring category. 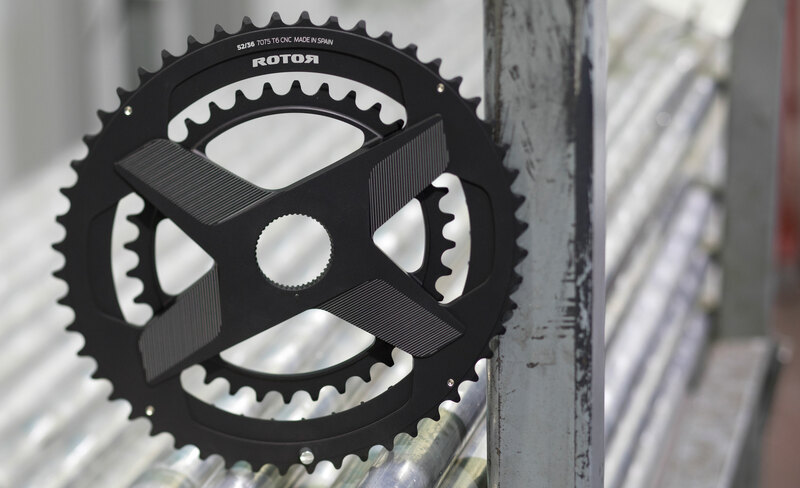 Our new one-piece Q RINGS oval direct mount chainrings include refined OCP Mount technology so you can now adjust your optimal chainring position by precise one degree increments. Engage your unique OCP to unleash a more efficient pedal stroke, reducing knee stress and possible injury. Combined with our new ALDHU 3D+ crankset, Q RINGS oval direct mount chainrings respond to your individual biomechanics allowing you to configure your unique OCP so that your maximum power transfer is activated at the most optimised point of your pedal rotation. The enhanced 12.5 percent ovality heightens your performance advantages providing full activation of muscle groups, creating more power and diminishing long term knee strain. Q RINGS oval direct mount chainrings are machine CNC’d from single blocks of ultralight aeronautic-grade 7075 aluminum. The integrated configuration means a simplified lightweight solution without compromising on durability. With fewer individual parts we’ve shaved precious grams off the component weight and focused on delivering you ease of assembly and maintenance. With the flexibility to satisfy the most comprehensive range of bike sizes and standards, our innovative modular structure empowers you to select each component individually based on your unique bike setup and physical characteristics. Each component of the set can also be purchased separately and assembled simply with just one tool (ALLEN 10 mm), so you can replace individual parts as you upgrade your bike without having to exchange the entire unit. The laser etched black anodized finish provides an elegant yet subtle design to complement the sophisticated look of your high-end bike specification.